Fleur Créatif is the worldleading essential magazine for those with an interest in floral design. Every issue, master florists show you the latest trends and reveal flower arrangement techniques step by step. 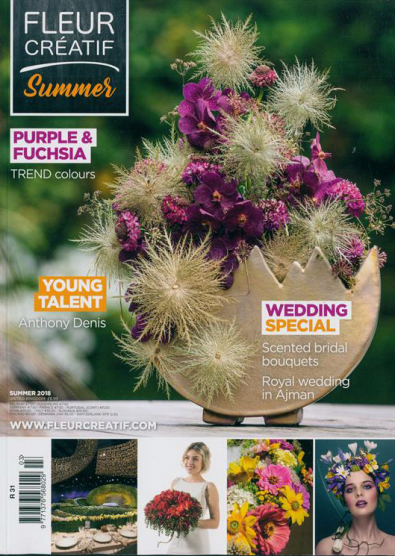 If you have a passion for flower arranging then a Fleur Créatif magazine subscription is for you! Fleur Créatif magazine provides inspirational designs from top floral designers across Europe. The subscription can start at any moment. If you subscribe today, we will start with the next edition that comes out. Excellent illustrations. Aspirational designs. Not designs you see anywhere else. Not always something you want to do at home but always make you feel good. Ordered for my mum, she loves this magazine and often cant get in the shops, so she was thrilled. Not sure where the need is for it to cost more than the actual price of the magazine though.